Sitting less than an hour away from "WITH THE NUMBER ONE PICK . . " we're giving you our final thoughts and final picks . . . first some reader questions! No. This is the NFL, it's not pee wee football. You can't deal your franchise quarterback and expect to "be just fine" over night. No matter who the Steelers went forward with, a rookie, Leftwich, Charlie Batch, you name the person they'd be much, much worse off. Roethlisberger is a moron off the field, plain and simple. Remember, this is the same guy who bounced his head off a windshield while riding a motorcycle without a helmet, then claimed he'd do it again if he had to. The same guy who was accused of sexual assault not once but twice, he's not a fast learner that is for sure. All that being said, he's a tough as nails winning quarterback in this league where winning quarterbacks don't grow on trees. I don't buy it. He's by far the best receiver in this years crop, but the Patriots have more pressing needs. They play in a division which just added such offensive weapons as Brandon Marshall and Santonio Holmes, they need to get after the quarterback. Do we really buy this is Belichick's move? The man drafted one receiver I can remember, Chad Jackson, and that didn't turn out well. I'm of the belief that anyone other than an offensive tackle, quarterback, or pass rusher should have to wait till the second round, I'm guessing ole' Bill has picked up on that as well. Also, Dez Bryant isn't Corey Dillon or Randy Moss, he hasn't done squat in the league, as the other two had. Read above. I believe Dez Bryant drops to day two. Look, teams have needs and the ones that would be interested in Bryant may want to wait till day two. If the Seahawks do as they should and draft a franchise offensive tackle then proceed to go after an offensive difference maker, then they should walk away feeling great. No joke, the Seahawks have to make an impact this season and hope some things fall their way tonight. Talk to me on Day 3. (*) Denotes changes made to earlier picks, reasons explained below. * The Detroit Lions need to make a commitment to protecting Matthew Stafford. As much as we're enamored with defensive lineman Ndamukong Suh and Gerald McCoy, the pick should be Russell Okung. The 300 lb. 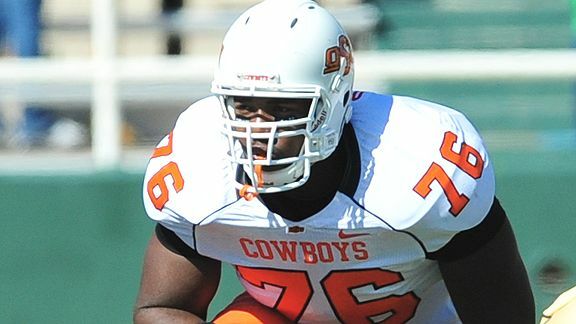 offensive tackle from Oklahoma State is the consensus #1 offensive tackle in the draft and would be the top choice to protect Stafford. * The Jacksonville Jaguars should be taking aim at C.J. Spiller as I stated earlier this week, he can sell jerseys and tickets. However, as popular opinion may believe the best way to beat the Colts is to fight fire with fire, it's to play defense and knock the Colt receivers around. 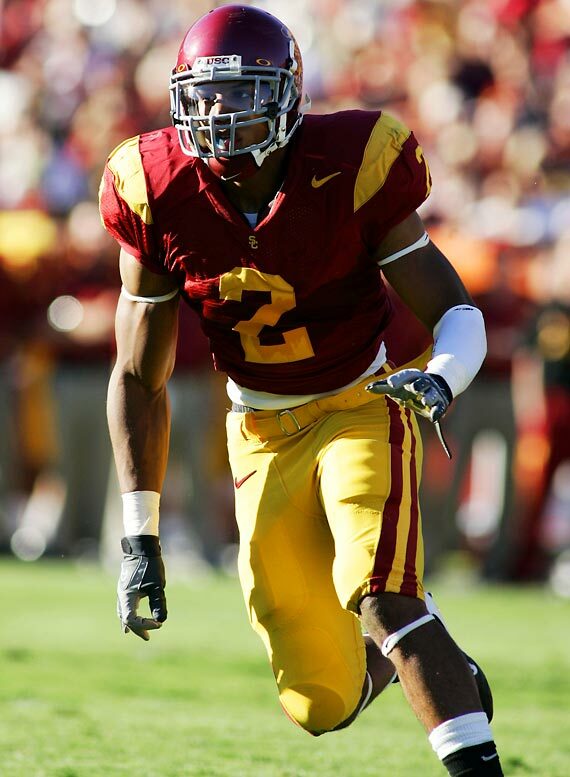 If you believe Joe Haden is the best corner in this draft and he can transition to this league, go draft him and fill your biggest need. * The Seattle Seahawks need to walk away Thursday night with both a franchise offensive tackle and an impact offensive position player. If C.J. Spiller gets to the Seahawks at #14, it's a slam dunk. In both the return game and out of the backfield, C.J. Spiller gives any team versatility. Pete Carroll and the Seahawks brass would have addressed their protection issues and lack of explosiveness on the offensive side of the ball. * Brian Price DT, UCLA to the Cincinnati Bengals The PAC-10 Defensive Player Of The Year, Price is a fierce defensive player on the football field and playing his college career on the West Coast doesn't help him much. Price can make an impact on the Bengal defense right away and if more people had seen him play, they'd agree. I should have made this the Bengal pick from jump street, he's clearly an upgrade from any defensive tackle they have. * Jared Odrick DE, Penn State to the Baltimore Ravens Odrick is a very good player and prospect for the NFL. I'd originally went with Jermaine Gresham giving Joe Flacco another young weapon along with the recent acquisition of Anquan Boldin. However on second thought, their defense is getting older and they need to transition, starting with Odrick. * Jahvid Best RB, California to the New York Jets I think this is exactly the type of "out of the box" selection that can help the Jets. Sure he has a concussion history, but that's because of the way he plays the game. This may be a stretch but for a team who has added a ton through the offseason, they'll still miss some of the production from Thomas Jones, whatever Best can give them would be a huge bonus. * The Indianapolis Colts & Rodger Saffold OT, Indiana The Colts always draft offense in the first round. Their dedication to Peyton Manning continues giving him a young offensive tackle who could be a big part in protecting Manning for the rest of his career. I like the pick, and teams who still need a tackle will be jumping to get back into the first round. * The Defending Champions and replacing Scott Fujita with Sergio Kindle LB, Texas This is Gregg Williams pick, Sean Payton knows they need to replace Fujita who departed in free agency and he'll defer to Williams. A versatile pass rusher who can cover out of the backfield as well. Kindle is the best available option for the Saints. Don't care if you hate it, we love the DRAFT!